A must for all new residents and those who wish to have a better appreciation of what makes Brentham so special. 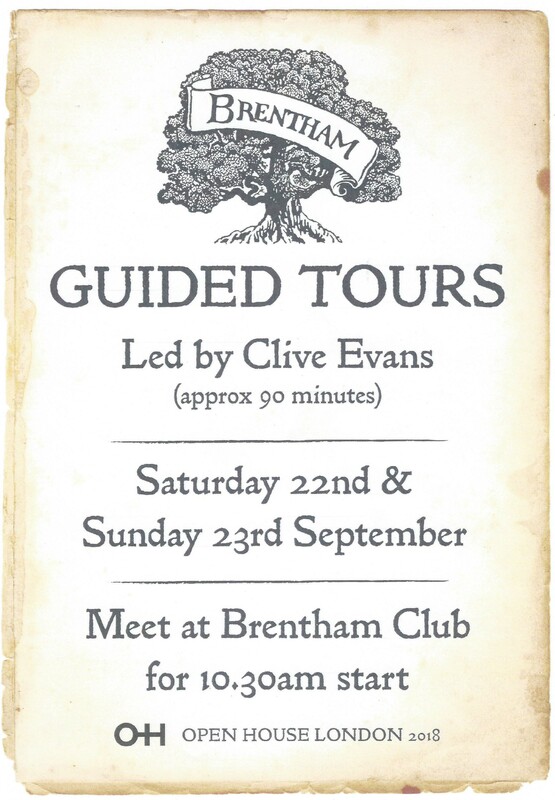 Part of the London Open House event, resident Clive Evans leads an enlightening walk around our streets and through the “twittens” pointing out many architectural features and the hidden gems of Brentham. Click here for more details from London Open House. This entry was posted in Archived News and tagged Brentham Garden Suburb, London Open House, London Walks. Bookmark the permalink. Do we really need to import words to describe our estate? “Twittern” is not native to this part of England. Can we do without it, please? Twitten (without an ‘r’) is a perfectly respectable word, imported from the Oxford English Dictionary. Its definition is a narrow path between two fences or hedges. Quite when it was applied to Brentham I am unable to say, but it is entirely appropriate. And it delights tourists and local children when I show them around the estate. Feel free to suggest an alternative. I don’t deny that twitten (without an ‘r’; my spellcheck didn’t recognise it) is a perfectly respectable word, but it isn’t used here. I moved to Brentham in 1972, and the first time I heard it was a few months ago. Perhaps other long-standing residents will tell us when they think it was first used to describe our alleyways. Charming words like twitten, ginnel and snicket (same meaning) are specific to certain parts of the country and should remain there. It’s almost a form of conservation. I’m sure that Clive will be able to continue to delight tourists and local children without using imported words.